The Kenya Pipeline Company (KPC) Limited is a State Corporation established on 6th September, 1973 under the Companies Act (CAP 486) of the Laws of Kenya and started commercial operations in 1978. The Company is 100% owned by the Government and complies with the provisions of the State Corporations Act (Cap 446) of 1986. The Company operations are also governed by relevant legislations and regulations such as the Finance Act, the Public Procurement Regulations, and Performance Contracting. To build a pipeline for the conveyance of petroleum or petroleum products from Mombasa to Nairobi. To own, manage or operate such pipelines and any other pipelines and associated ancillary facilities. To market, process, treat, deal in petroleum products and other products and goods and provide transport and other distributive facilities, outlets and services in connection therewith. “Transforming lives through safe and efficient delivery of quality oil and gas from source to customer”. Giving back to society by engaging in Corporate Social Responsibility Programmes. 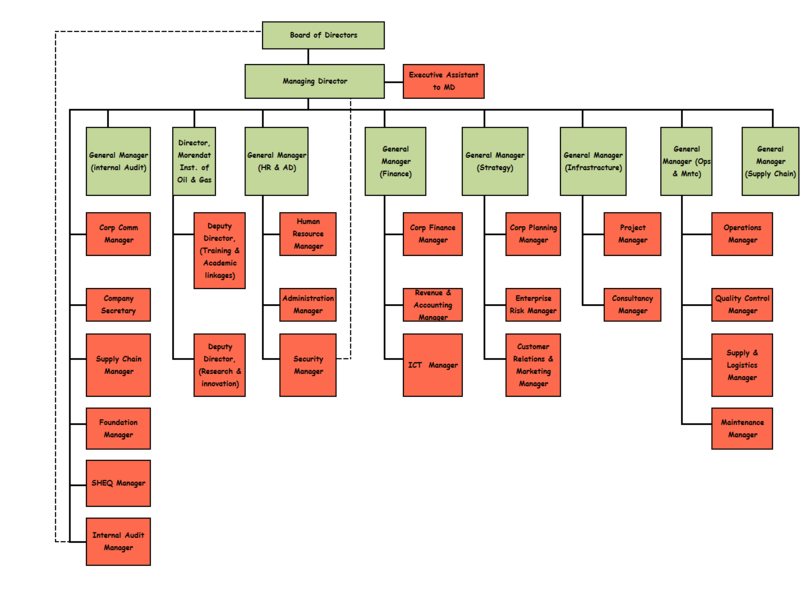 The current organization structure comprises Government appointed Managing Director supported by Eight General Managers (General Manager Operations and Maintenance, General Manager Infrastructure, General Manager Human Resource and Administration, General Manager Finance, General Manager Internal Audit, General Manager Strategy, General Manager Supply Chain and Director, Morendat Institute of Oil and Gas.